Show your love for Beer and Bacon on Sunday, December 30th. 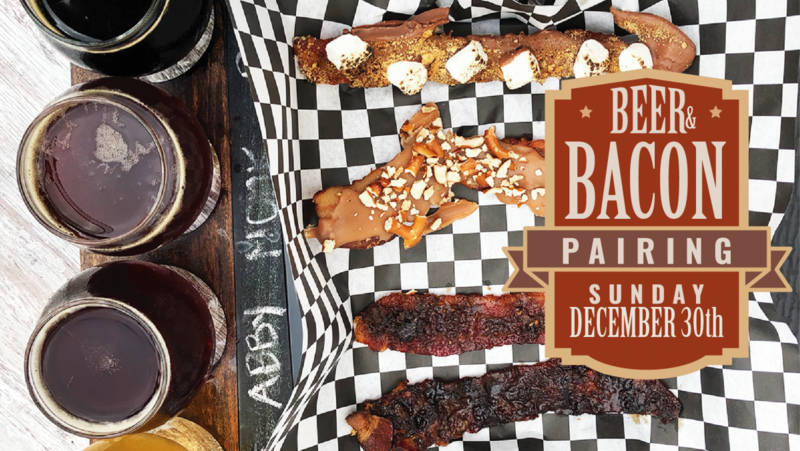 Join Barrel of Monks and Cheffrey Eats, from 1pm to 5pm, as we bring the bacon and beer­-fueled fun to the Tasting Room, pairing a flight of beer with a flight of bacon. $20 gets you 4 beers and 4 varieties of bacon. No ticket needed. This is a delectable day you don’t want to miss. Trust us and your taste buds will thank you.